There's a lot more to home-baked cookies than just the eating ... don't we visually appreciate the cookies before we eat them? 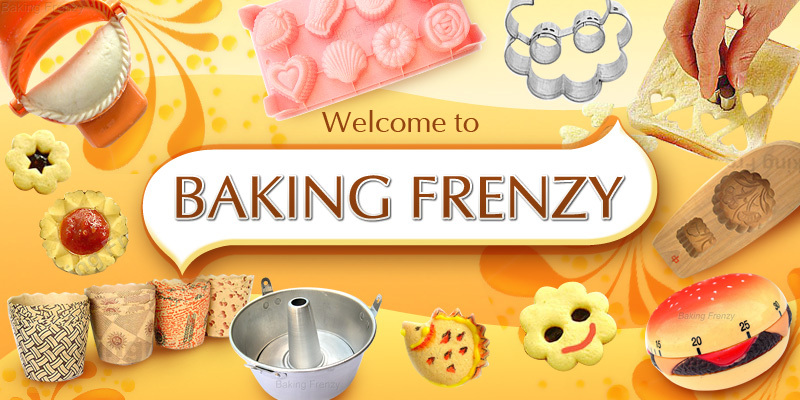 With these moulds, you can make extraordinary cookies that not only tastes good but are also a delight to behold! Have fun with these cookie moulds and bake yourself a veritable cookie garden. This cookie mould is made from nylon so will not absorb oil or discolor. Scrub them after use in a dish pan of hot, soapy water, or put them in a dish washer. They'll come out looking brand new! 1. Freeze cookie dough in fridge for 40 mins and devide the dough into 50g each. 2. Dust the mold heavily with flour before the first use; dust lightly before each additional molding. Remember to shake off excess four. 3. Roll out dough and proceed with molding.